When talking about People’s Park Food Centre, most people will only think about Ri Ri Hong Ma La Xiang Guo. A shame really, considering how many great stalls the hawker centre houses. 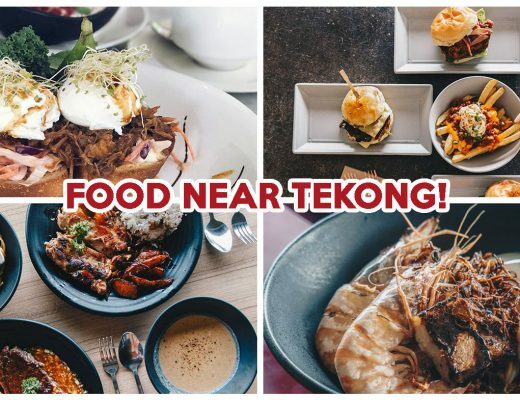 Here is a list of awesome stalls that you should try the next time you are there, for both ma la and non-spicy dishes! No more queueing up at night for grilled fish. 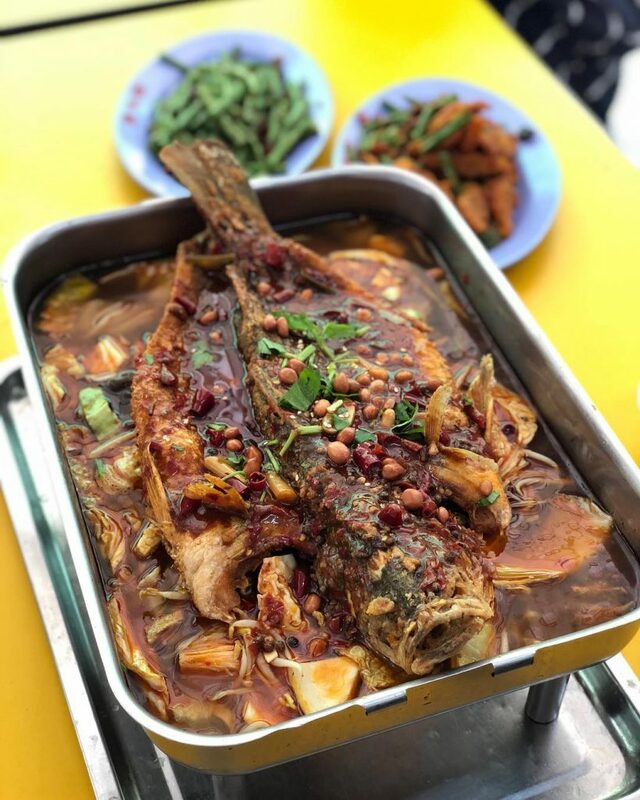 Chuan Wei Fang Xiang La Xie sells Chongqing Grilled Fish ($18) that comes with a ma la broth and generous amounts of typical ma la xiang guo ingredients such as enoki mushroom, lotus root and bean curd skin. If you’re not feeling up for ma la, go for simpler dishes such as Chives & Eggs ($5) and Stir Fried Long Beans ($4.50). 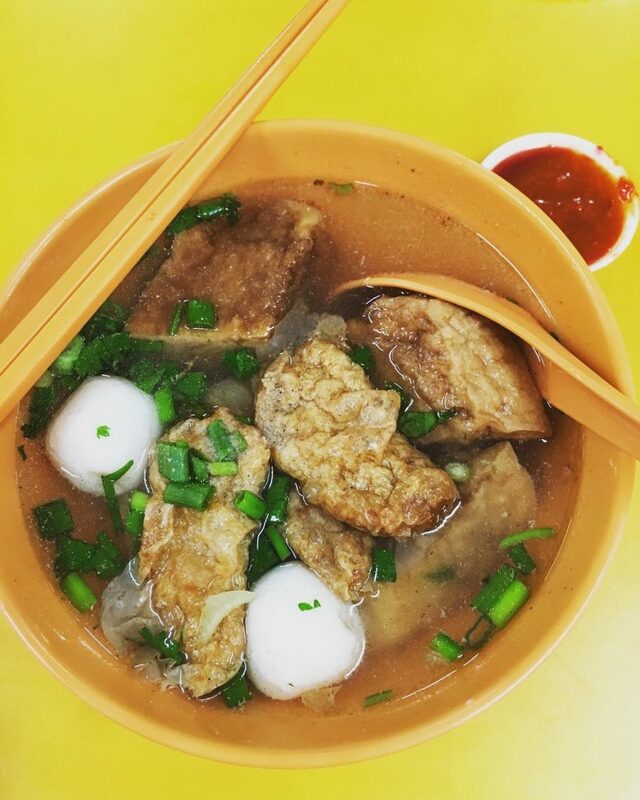 Like me, many of you probably didn’t know that loh mei was a popular dish back in the ‘50s and ‘60s. Today, Loh Mei Specialist is one of the few, if not the only hawker stall, that is still selling this traditional Cantonese dish. 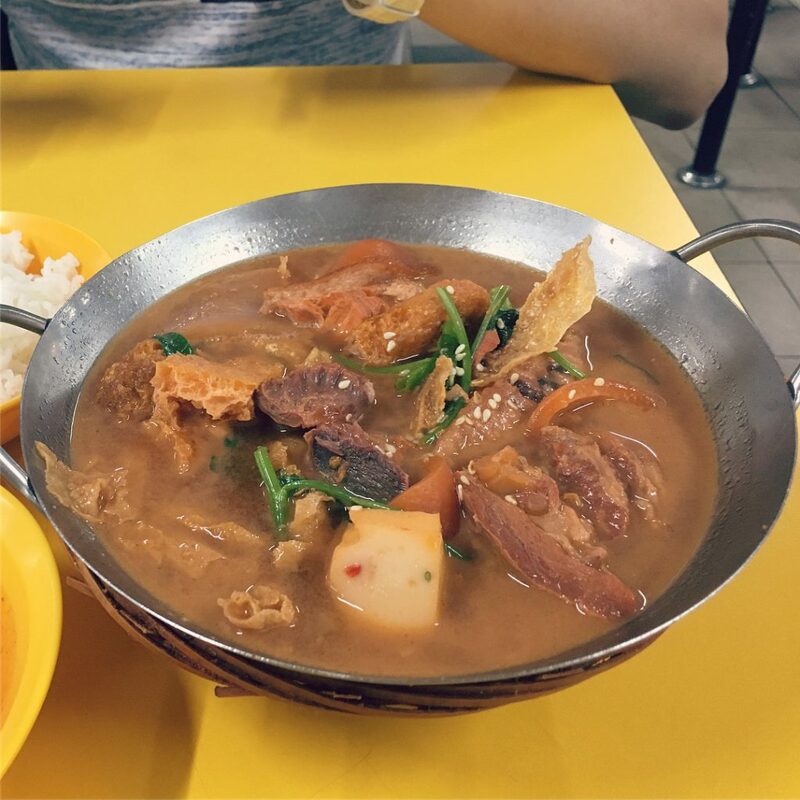 Exchange $2.50 for a bowl of fermented bean curd stew that includes chicken, mushrooms, pig skin, cuttlefish, and more. 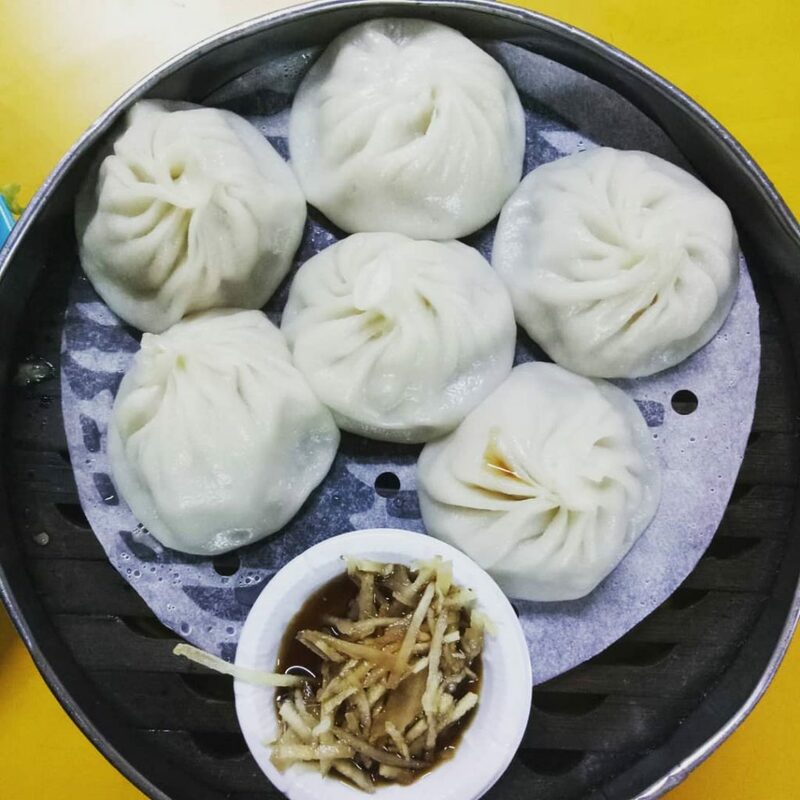 Calling all xiao long bao lovers, Jin Feng Mei Shi is where I get my fix of these small meaty treasures. At $4, you get to indulge in six of these handmade soupy goodness. Every bao is carefully packed with meat and broth that will simply explode in your mouth. Don’t forget to eat it with some ginger and vinegar for an added kick! 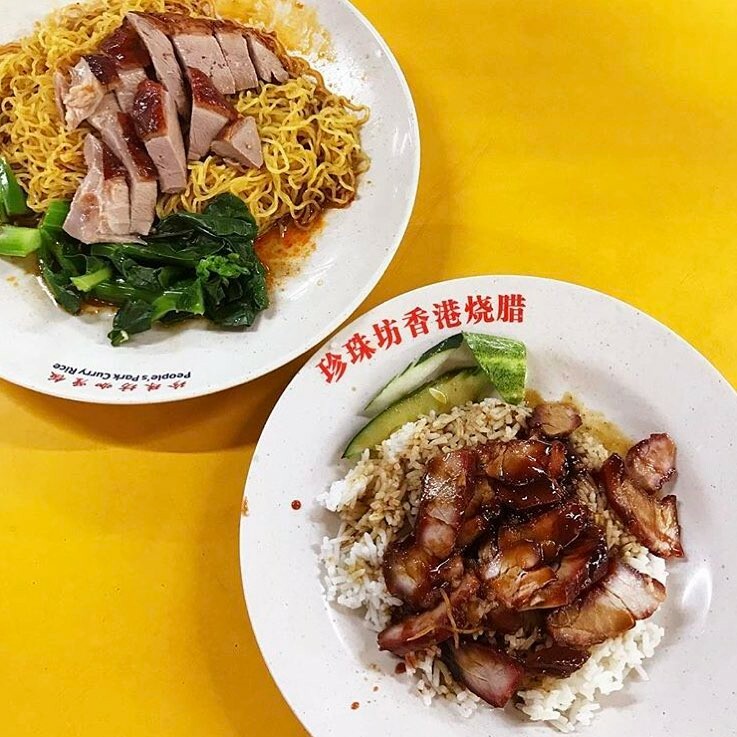 Zhen Zhu Fang Roasted Delights is one of those stalls in the hawker centre that sees a perpetual queue. Pay just $3 and their mouth-watering Roasted Pork Rice will be on your table, ready to be devoured. You won’t regret the plate of moreish meat that comes with crispy golden brown skin. 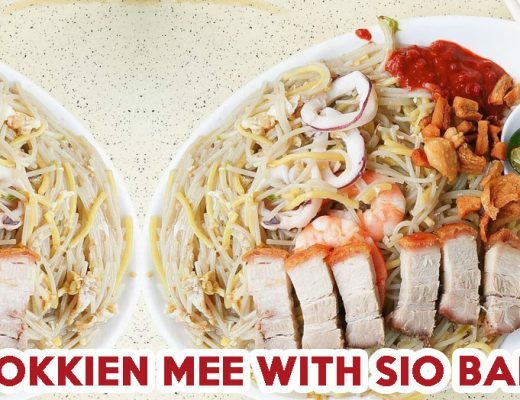 Another must-try would be their Wanton Mee ($3.50). The noodles are coated in their signature savoury sauce and the wantons are satisfyingly plump. 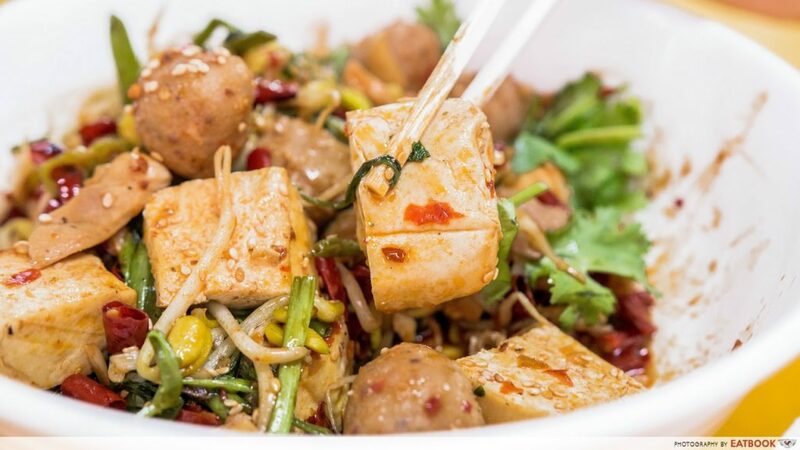 Si Chuan Ming Xiao Chi offers classic Sichuan dishes that not many hawker stalls serve. What caught my eye was their Spicy Beancurd ($2). Don’t mistake this for tau huay, as the soft bean curd is topped with soy sauce, chilli flakes, and crunchy peanuts. For something more filling, go for their Beef Noodles ($4)! 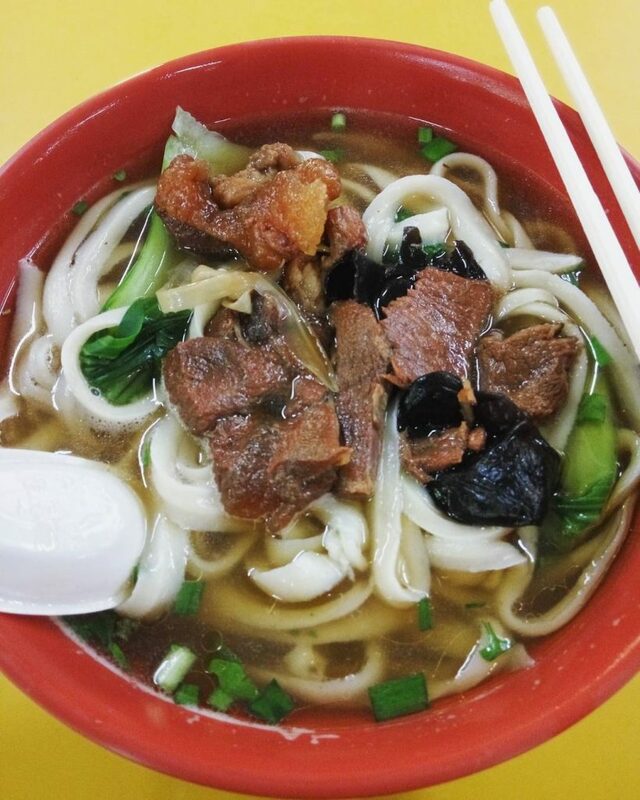 Yi Pin Beef Noodles serves beef and mutton noodles to those looking for a piping hot bowl of comfort food. Many love their Spicy Beef Noodles ($4) for the savoury beef and tantalising broth. However, my favourite would be their Braised Beef Rice ($4.50). Accompanied by chunks of tender beef brisket that fall apart easily, each mouthful of rice is laced with a dark savoury sauce that is oh-so-satisfying. 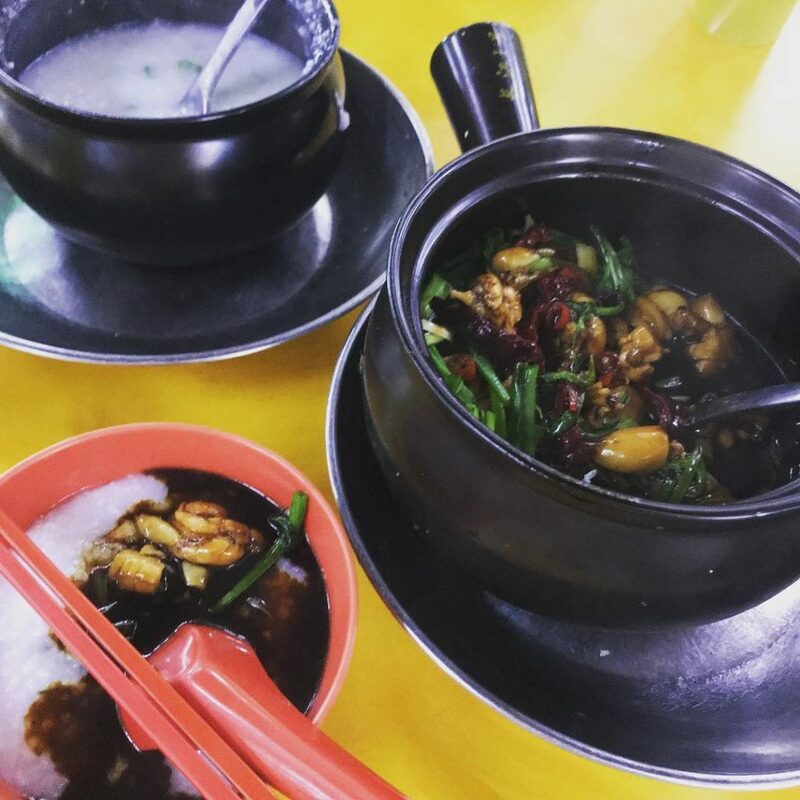 Yong Xiang Xing Dou Fu is one of those yong tau foo stalls that serve up fixed sets of the soupy dish. While you don’t get to choose your favourite ingredients here, you’re not missing out as all their sets are filled with delicious handmade pieces. The clear soup is surprisingly flavourful and refreshing. At $4.50 per bowl, it is no surprise that the queue is never-ending during the three hours that they are open. Opening hours: Tue-Sun 1pm to 4pm, or until sold out. Many have gone on and on about Chang Jiang G1 Claypot Frog Porridge’s Claypot Fried Chilli Frog (from $8). It isn’t difficult to understand why. Stir the dark, fragrant sauce into the plain porridge and you’ll find yourself digging into a bowl of savoury comfort food. 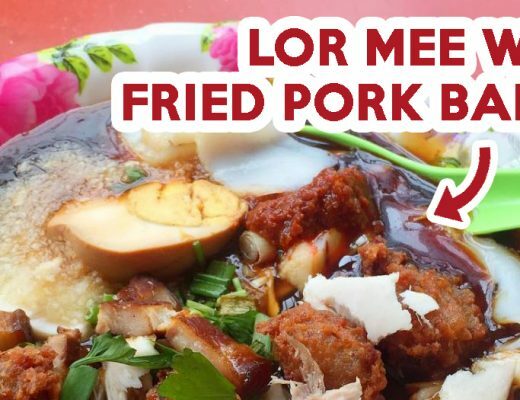 While it’s more expensive than regular hawker fare, you’re definitely getting a bang for your buck as they are very generous with the portion of meat served. 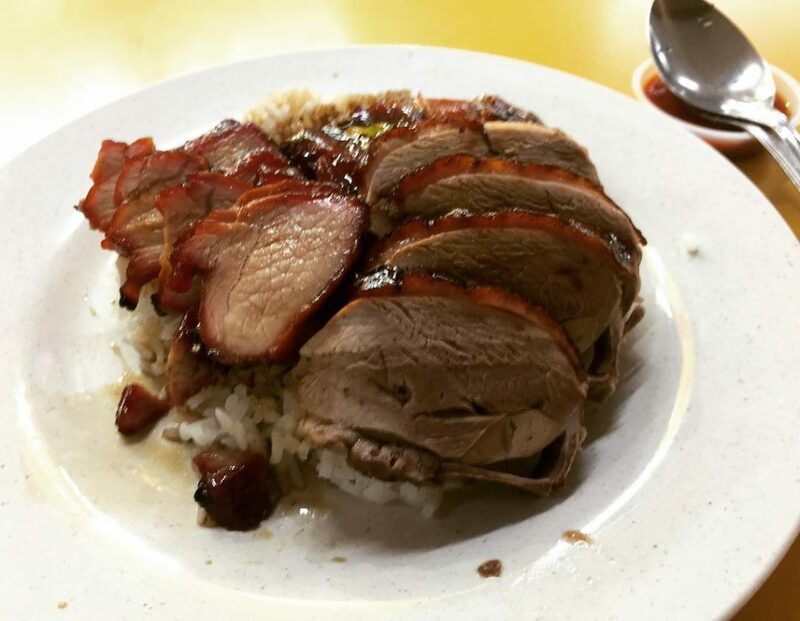 Toh Kee Roasted Duck has been satisfying bellies with their sio bak, pork ribs, roasted duck, and char siew for decades. My favourite has got to be their Roasted Duck Rice ($5). While its price tag is on the heftier side, it is worth every single penny. Bite into the paper thin skin and you’ll find juicy, tender meat that rarely fails to impress. They sell Whole Ducks ($40 each) as well, if you’re planning a feast at home! 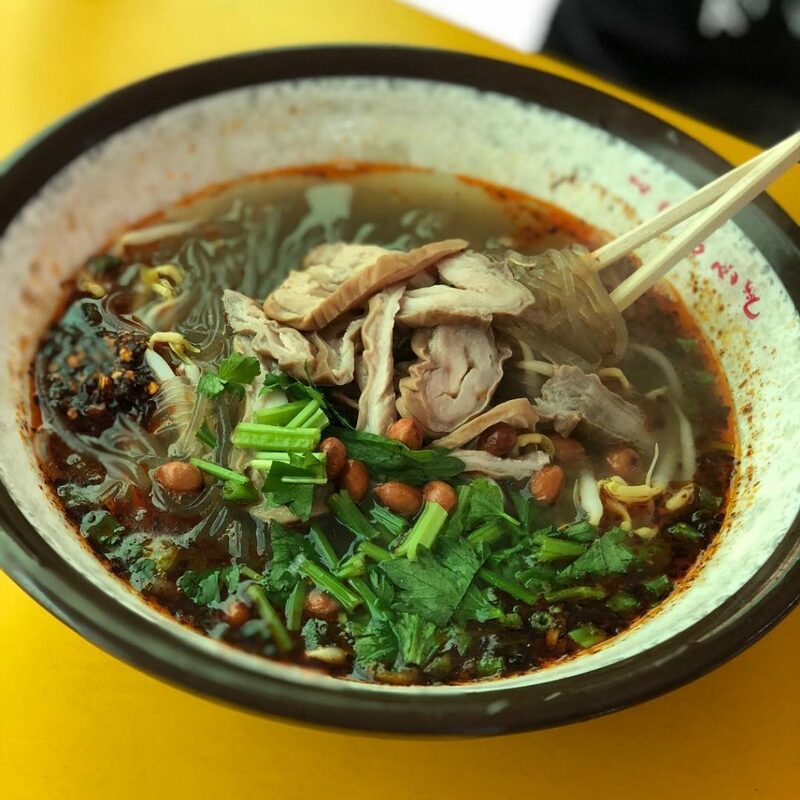 Ri Ri Hong Ma La Xiang Guo has quickly rose to fame over the last few years and gained its spot as the go-to ma la stall in many people’s hearts. Here, they go by portions instead of weight; a portion of vegetable, meat, and seafood goes at $1, $2, and $3 respectively. Come with a group of spice-loving friends to get a huge variety at a bargain! I’d recommend their zhong la (medium) level of spiciness for a flavourful bowl that comes with a fiery kick. 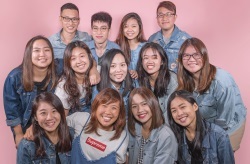 Jio your friends to People’s Park Food Centre! People’s Park Food Centre remains one of my favourite food centres in Singapore because of the sheer number of stalls it holds. From the all-time-favourite XLB and ma la xiang guo, to old-school loh mei, nothing is lacking here. Remember to check out one of these stalls when you are in the area; you’ll leave with a bright smile and satisfied tummy! Featured image taken from Instagram user @ping0119_‘s post. travelling the world with my taste buds!